Our story begins around 9,000 years ago when stone-age people first inhabited this area. Into this region came the ancestors of the Cree and Ojibway people who live here today. This period is known as the Woodland Era. Aboriginal people were ingenious, hardy people, familiar with the properties of plants and wood, and with the habits of wild animals. They lived off the land along the many waterways, and carved tools from stones, wood, and the bones of wild animals. Their clothing was made from the hides of the wildlife they killed for food. They treated their environment with respect, and celebrated its bounties through their spirituality. According to Ojibway legend, thousands of years ago two warriors of the the Chippeway nation came upon a very large moose beside a lake. They believed the beast was Matchee Manitou (evil spirit) and tried to kill it. Wounded, the animal escaped by diving deep into the lake. A large pool of blood coloured the water red, and the hunters named the body of water Misque Sakigon, or Colour of Blood Lake. Over the years it became known as Red Lake. From the mid -1870s to the early 1920s, the quest for furs, then for minerals, brought Europeans to the area. 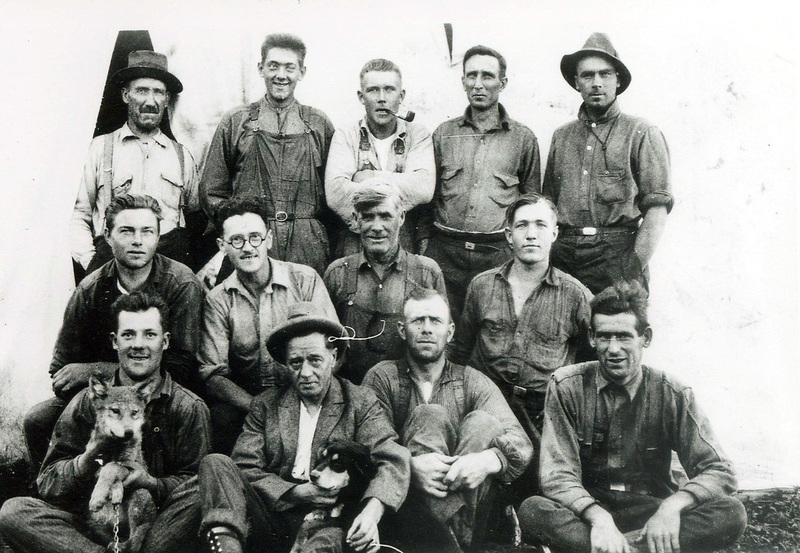 In the summer of 1925, two brothers, Lorne and Ray Howey, discovered gold under the roots of an upturned tree. This event triggered the last great gold rush in North America, the birth of commercial bush flying in Canada, and the founding of the town of Red Lake. More than 3,000 people converged on Red Lake at the height of the Gold Rush of 1926. They traveled by dog team or by foot on the frozen rivers and lakes, over the 180-mile gold rush trail. In spring, they used canoes or small boats, and before long, airplanes. Eventually the bush plane came to dominate travel to the goldfields. In 1936, Howey Bay, in the heart of Red Lake, was the busiest airport in the world, as aircraft of all shapes and sizes, on floats or skis, transported freight and passengers in and out of the area at 15 minute intervals. 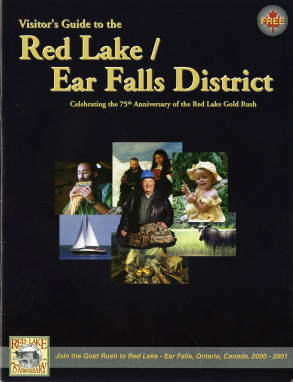 Today, the Red Lake District is composed of five communities, all built around former or currently operating gold mines. As of July 2014, approximately 27 million troy ounces (839 tonnes) of gold have been mined in the Red Lake area. Over the past fifty years, sport fishing has grown as a significant summertime industry. The many fishing lodges on Red Lake, as well as on remote lakes accessible only by float plane, range from the luxurious to the rustic. Nearby Woodland Caribou Provincial Park offers canoe enthusiasts the increasingly rare opportunity to experience wilderness in splendid solitude. Embracing cultural tourism in its many different aspects, Red Lake rewards the inquisitive traveller with our proud First Nations culture, Gold Rush romance, ethnic diversity, aviation history, and unique present day lifestyle.